Clifford Roger “Cliff” Eiker, 64, of Thurmont, MD died unexpectedly on Friday, February 1, 2019. Born June 7, 1954 in Gettysburg, PA, he was the son of the late Elwood and Vera (Andrew) Eiker. He was the husband of Charlene (Krein) Eiker, to whom he was married for 44 years. Cliff was a self-employed truck driver in recent years, and had previously worked as a mason/bricklayer, and horse dealer for 40 years. 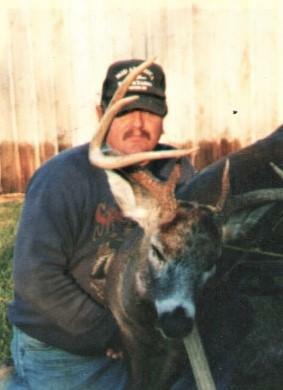 He enjoyed hunting, riding horses, farm work, and watching old western movies. He owned horses for over 50 years, during which time he bought and sold many horses to people locally and long distance. Surviving, in addition to his beloved wife Charlene, are daughter, Karen Eiker of Walkersville, MD; son, Kevin Eiker of Hawaii; grandchildren, Justice, Rylee and Zoe; brothers, Nevin Eiker & wife Jody, Kenneth Eiker and John Eiker, Sr. & wife Tammy, all of Emmitsburg, Marvin Eiker & wife Terri of Thurmont, and Morris Eiker & wife Juanita of Fairfield, PA; sisters, Laura Eiker, Nina Eiker, & Cathy Harbaugh, all of Emmitsburg, Beatrice Waybright & husband, David, of Gettysburg, PA, and Wanda Winegardner of Marion, IL; and many nieces and nephews. A gathering to pay respects to the family and celebrate Cliff’s life will be held from 3-5 p.m. on Sunday, February 10, 2019 at MYERS-DURBORAW FUNERAL HOME, 210 W. Main St., Emmitsburg, MD, with a time of remembrance and sharing beginning at 4:30. In lieu of flowers, memorial contributions in Cliff’s name may be made to St. Jude Children’s Research Hospital, P.O. Box 1000, Dept. 142, Memphis, TN 38101.